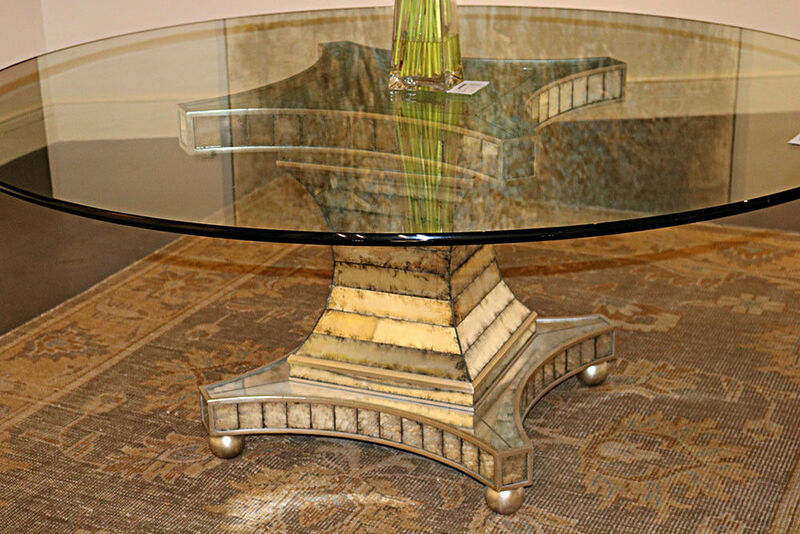 This incredibly large and impressive antique-glass Art Deco or Modern dining table evokes that majesty of a long lost era of glamour and mystique. 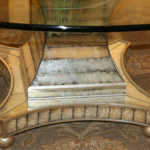 Look at the incredible faceted antiqued glass, with silver leaf eglimose underneath. 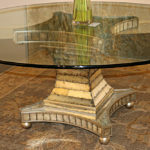 The effect is that the table looks antique but has a perfect smooth edge glass top. 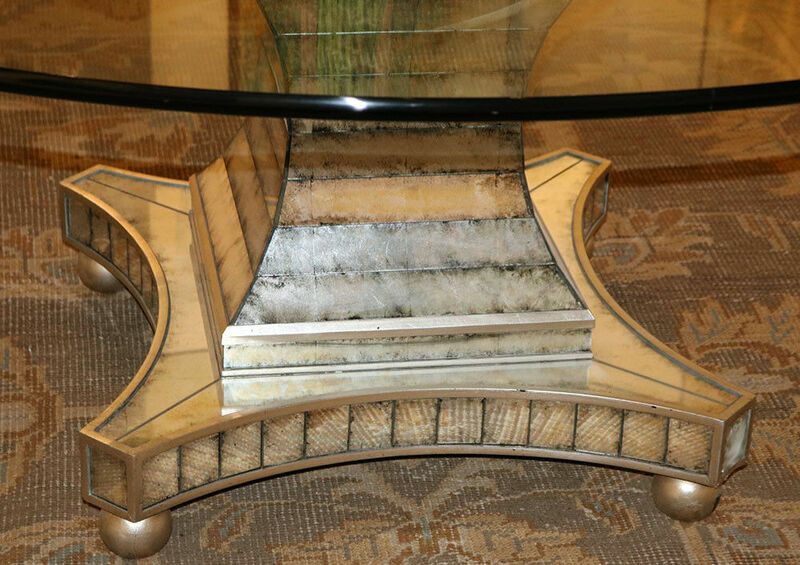 This table is a masterpiece of simplicity and design and a true classic that will delight you for years to come!